May is a great time to have your commercial carpets cleaned. All those months of employees and customers coming in from the rain and snow, tracking mud, dirt and debris all over your carpets has taken its toll. Vacuuming can only do so much, and once sand and salt become embedded in the fibers, they break them down, leaving your carpets looking worn and threadbare. It’s time for some carpet Rx. Vacuuming isn’t the only thing you should do for your rugs, but it might be the most important one. Allowing dirt and debris to build up on rugs and be ground into the fibers by feet greatly shortens the life of your carpets. Thorough, daily vacuuming is your best defense. Don’t believe old wives’ tales that this will wear out your carpets. It does, in fact, remove dust, hair, mites, pollen, skin cells and a host of other impurities you don’t even want to think about. The more modern your vacuuming equipment is, the better job it will do. If your office has lots of furniture, including many desks, chairs and file cabinets, it can be hard to thoroughly vacuum these areas. An upright vacuum just won’t work in this environment. Your best bet here is a canister-style vacuum that is worn in a backpack. These powerful little suckers do a great job in tight spaces. Another technique that can stretch your time in between professional cleanings is spot cleaning. 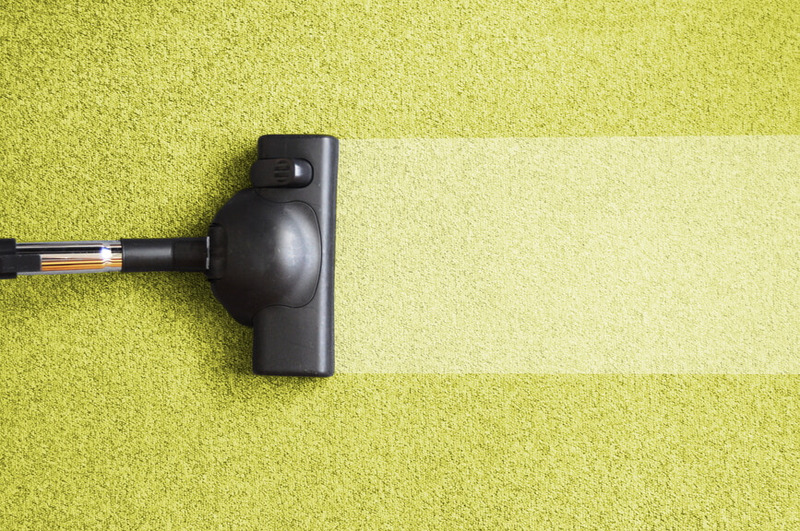 If you don’t have a regular cleaning crew, task an employee with keeping an eye on the carpets and doing a little spot cleaning when stains appear. This will make wall-to-wall cleaning necessary less often. If you are going to clean your own carpets, be sure to rent a professional machine, not one of those flimsy models from the grocery store. Not only do these inferior machines not remove the tough grime, they can leave your carpet full of hidden soapsuds that will just attract more dirt. Be sure to find out what your carpets are made out of as well, so that you can choose the right product with which to clean them. Green products are much better than they used to be. Time was “green” was synonymous with “doesn’t work,” but some good products on the market now are worth checking out. Cleaning your own carpets can be back-breaking and you may not end up with the results you expected. Professional machines are heavy — many require two people to carry them, and you will need a vehicle big enough to fit the machine in. Determining the type of fabric your carpets are made of and choosing the best cleaning agent is at best a crapshoot. You might save money by hiring a professional cleaning crew. BearCom of Salt Lake City has the experience and the skill to clean even the most stubborn stains out of carpets. If it’s time for your commercial carpets to be cleaned, call BearCom and rest assured the job will be done right. What Is The Right Amount Of Commercial Cleaning For Your Office?